Exhibitor Relations reports that Sony has pulled Silver & Black from their calendar. The Spider-Man spin-off was originally slated to be released in theaters on February 8, 2019. 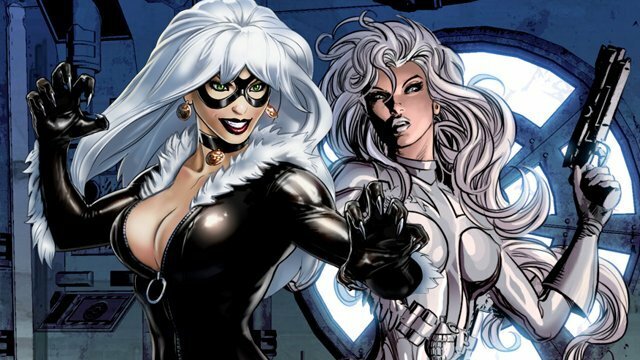 Silver & Black was set to be directed by Gina Prince-Bythewood (Love and Basketball, The Secret Life of Bees), who also wrote the first draft of the script. Earlier drafts were written by Chris Yost (Thor: The Dark World, Thor: Ragnarok) and Lisa Joy-Nolan (Westworld). Matt Tolmach and Amy Pascal were to produce Silver and Black. Created by Tom DeFalco and Ron Frenz, Silver Sable made her comic book debut in 1985’s The Amazing Spider-Man #265. Hailing from the fictional European nation Symkaria, Sable is an expertly-trained mercenary whose company, Silver Sable International, funds a team called the Wild Pack. Although the Wild Pack was founded by Sable’s father, she herself becomes its leader. Black Cat, meanwhile, dates back to 1979’s The Amazing Spider-Man #149. Created by Marv Wolfman and Keith Pollard, Felicia Hardy is an expert burglar who has the ability to manipulate probabilities, effectively bringing bad luck to those around her. Also, she was never explicitly referred to as such, Felicity Jones’ The Amazing Spider-Man 2 character was planned as an alternate version of Hardy. There is no word yet if work will continue on the film. However, Sony is reportedly searching for a new date for the film.